Shaped like an inverted triangle, the island of Sicily occupies a strategic position in the maritime laneways of the Mediterranean Sea, and so was targeted for conquest by many empires throughout the ages: Greek, Byzantine, and Norman. During the 2nd and 3rd centuries BCE, it was a buffer, then launch point in an epic clash between Rome’s navies and those of its arch-adversary across the sea to the south, Carthage. Though firmly a part of the modern Italian patchwork, its dynamic history and a diversity of influences have fostered a distinct culture; still thriving in a breezy and dry climate overtop a sun-drenched land that grapevines also love. As a result, Sicilians have always produced far more wine than could be consumed locally, prompting them to become experts in the export trade; first in clay Amphorae, then in large Fiascos (Straw-wrapped glass vessels), and to this day – in ships laden with caseloads of bottles! enough not to overshadow them. In the 21st century, again astutely, it’s rich and fruity charms are being celebrated and allowed to shine on their own. Beyond the complex achievement of bringing into the winery a mature harvest of the best grapes that the climate, the land, and its local stewards are capable of, other critical determinants between outputting so-called ‘bulk wine’ vs. ones of a more premium quality — is the amount of time, attention to detail, and additional steps that the winemaker is willing to exercise in the production process. One of those added steps is Malolactic Fermentation. Whereas primary fermentation is yeast converting sugar into alcohol, Malolactic fermentation sees the introduction of select bacteria to convert the tart Malic Acid found in grape juice into softer Lactic Acid. Depending on the innate nature of the source grapes and the age of the vines, this often-finicky production step can have a pronounced impact on the wine’s balance; translating into a more rounded mouth-feel and expanding the sensory perception of the wine’s complexity. In white wine, it also yields buttery aromas/flavours; in overly fruity red wines, it makes them less so. In the case of this bottling, I’ll speculate that the compensation is necessary due to the fruit being drawn from somewhat younger vines. 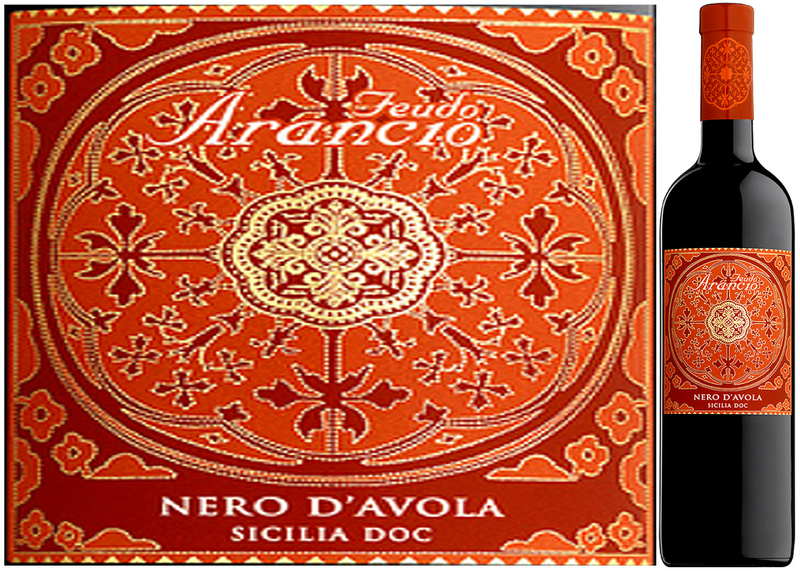 Regardless of the exact motivation, this Nero d’Avola has reaped the benefits: it’s nicely rounded; it’s soft while still possessing an identifiable character; it’s surprisingly layered; it’s $14.95! This is a medium-bodied, concentrated wine with pomegranate, strawberry and currant aromas and flavours, accented by some nutty notes. As an apéritif, it pairs well with smoked cheeses, Prosciutto and Bruschetta or with mains of grilled lamb and fresh pea Risotto, eggplant with capers and olives or veal rolls stuffed with pine nuts and raisins. 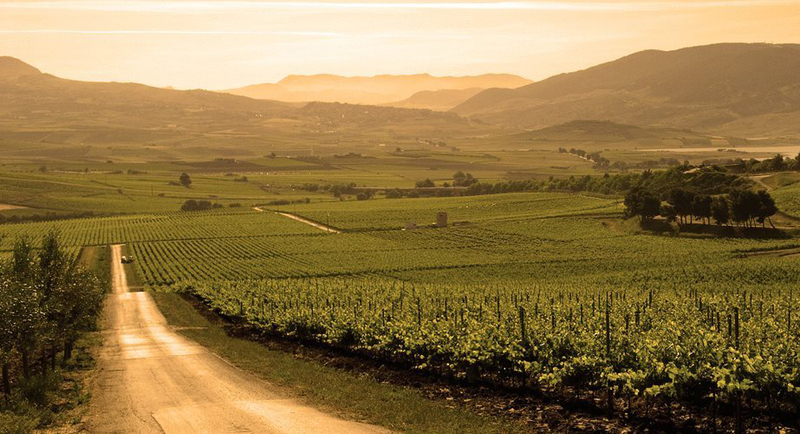 In the context of the wine world’s long-established regions, 30 years or so spent labouring on their vineyard tracts barely registers/qualifies as a tradition. At the most, it represents one family generations worth of aspiration, and one cycle of patiently coaxing fledgling vine stock from the nursery through to full maturity in the vineyard — before a definitive evaluation of its success, or not, can be made. Selecting suitable varieties and developing localized cultivars for any given terroir is further complicated in our times due to a shifting climate. For diligent winemakers, there are few shortcuts in this multi-faceted process; it’s a tough, all-consuming vocation where an unwitting miscalculation by one generation falls onto the shoulders of the next to redress/revision over the next 30 years. So perhaps it is with the history of the Pennachetti’s, a very hard-working and inspired immigrant family whose earliest patriarch, Giuseppe, emigrated from Fermo in central Italy to Canada’s Niagara region in the 1920’s. Having broken ground while contributing to the building of the Welland Canal in his working life, he would also go on to establish the family’s first modestly-sized vineyard; as a hobby in his ‘retirement’. Arguably, the misstep was to cultivate Labrusca grapes. Commonly known as Concord, this hearty variety does produce good table grapes and sweet juice but doesn’t have the capacity to yield premium wine. However, what was gained in the experiment, was the training of his grandson, Leonard Pennachetti, in the rudiments of viniculture! What is true of one family’s challenges and hard-won experience in developing their winemaking business, is generally true for the larger region; particularly, if it’s an emergent one. What’s far more established, rising upward just inland of the Lake Ontario shore, is a 450 million-year-old geography called the Niagara Escarpment. With an overall length of 750km, the section closest to Niagara is a fossil-filled prominence whose eroded Limestone hillsides and lake-tempered climate combine as desirable conditions for grapevines. 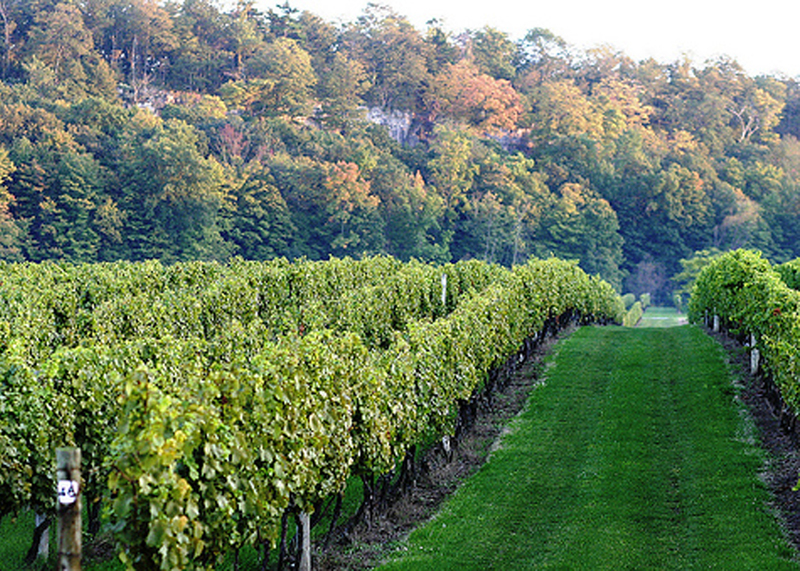 If you’re a variety called Gewürztraminer, and if you’re lucky enough to be grown in the Beamsville Bench area, then you’ve found your paradise. 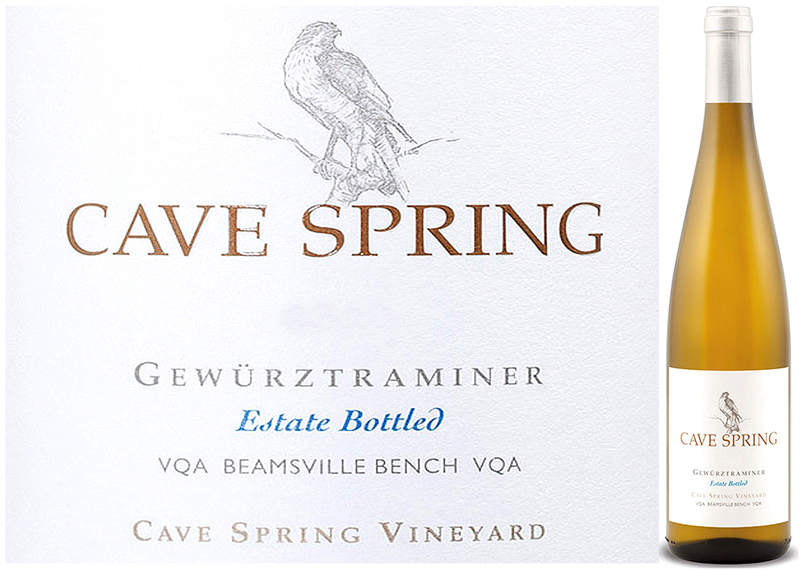 Moreover, if you end up in a bottle labeled Cave Spring Estate Bottled Gewürztraminer 2013, then you’ve become a compelling example of all that’s right about your new home and those who are responsible for steadfastly having made it so – the Pennachetti’s. Anointed as the ‘King of aromatic grapes’, Gewürztraminer (‘spicy Traminer’) is a hybrid variety that evolved from a more neutral parent, Traminer, in France’s Alsace and Germany’s Pfalz regions. Along with distinctive aromas and flavours, this white wine’s deep yellow colour and golden highlights result from the surprising red skin of the fruit. Early-ripening, it does well in cooler climate terroirs, though does develop more robust flavours in slightly warmer regions. As evidenced in this bottling, the Niagara zone lies somewhere in the middle. I’m thrilled to feature a wine that satisfies the strict DéClassé criteria of being ‘noteworthy and overachieving in the $15 – $18 price range’. Here, this is undeniably the case, thanks to the long-term commitment by the …………! By: Cave Spring Cellars Inc. This ‘new world Gewurtz’ is pleasingly restrained and balanced. The winemaker has settled on a medium-bodied version that has most of the tell-tale traits such as rose, lychee and orange zest aromas, stone fruit flavours accented by citrus and spice, and just enough of the viscosity that one expects in this varietal wine style. Serve well-chilled as a compliment to a variety of Asian cuisine including grilled cilantro chicken, Pad Thai with shrimp, hot and sour soup or with Italian fare such as pasta carbonara, and brie, speck, and porcini pizza.